Direct reading attenuators are widely used in test labs and production lines to give an absolute attenuation setting for many components, sub-assemblies, and system characterizations. It is a very critical and important test equipment in the industry. The industry only has very limited offerings for waveguide direct reading attenuators, especially in high millimeter-wave frequency bands, such as V, E and W bands. SAGE Millimeter has introduced both general-purpose and high precision instrument grade direct reading attenuators. While the model number for general-purpose is “-D1”, the high precision instrumentation grade is “-D8”. For example, the model number for the E band general purpose and high precision instrumentation grade attenuators are under the model numbers of STA-60-12-D1 and STA-60-12-D8, respectively. The following table will give an “apple to apple” comparison between two models of the E band attenuators to show the main differences. 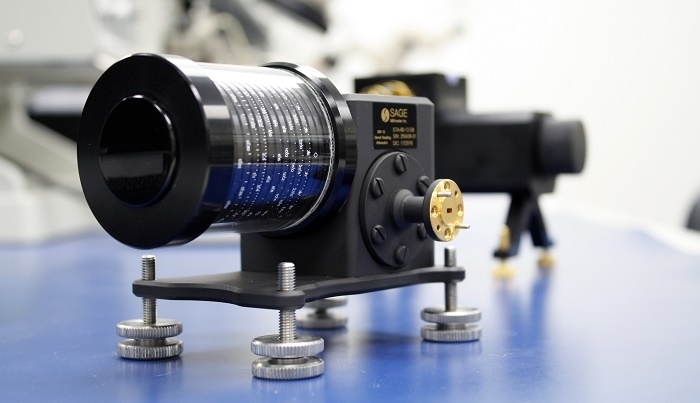 From above table, one can see that the high precision instrumentation grade direct reading attenuator offers a number of advantages over its general-purpose grade counterpart with only a fraction of the increased cost. 1. 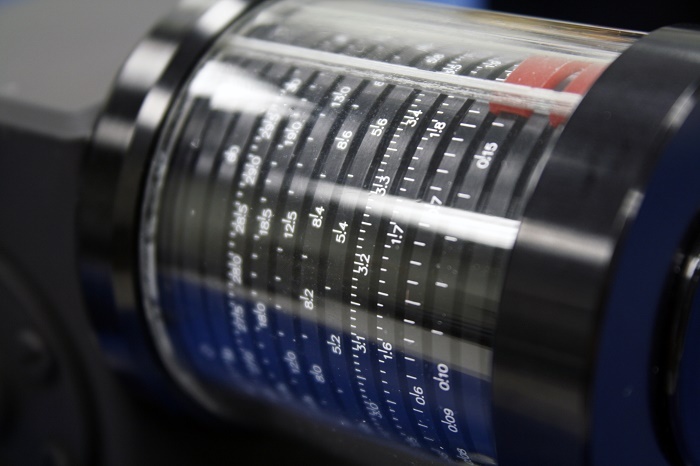 Larger dial diameter offers more clear reading ability. 2. Fine dial scale increment guarantees high accuracy and precise attenuation value. 3. Low VSWR improves system measurement accuracy. overall test set cost, especially when performing the BIT error rate and fade margin testing. 5. Mode free operation provides more confidence on the test data integrity. 6. More robust mechanical configuration elongates the life time of the instrument. The following plot shows the typical frequency responses of the attenuation values of an E band high precision instrumentation direct reading attenuator. From the plot, the high dynamic attenuation range, flat attenuation values and accurate attenuation readings across the entire waveguide band can be observed. Click here to see more Waveguide Rotary Attenuator from the leading manufacturers on everything RF.